Malla Nunn’s first novel, A Beautiful Place to Die, was one of my favourite books of last year so I was keen to get my hands on this second, follow-up novel. I’m also counting it towards my Aussie Authors challenge because even though Nunn was born in Swaziland and the book is set in South Africa she lives in Australia and, as is our practice, we’ve happily adopted her as our own. In the 1950’s it’s eight months since the events of A Beautiful Place to Die and, under South Africa’s increasingly draconian apartheid laws, Emmanuel Cooper has been re-classified as non-white and stripped of his job in the police. He’s had to move to Durban and is working a manual labour job by day and doing undercover surveillance work documenting police corruption at the dockyards for his former boss at night. It’s during his night time work that he stumbles across the body of a young boy, Jolly Marks. Of course investigating deaths is no longer Cooper’s job but he is compelled to work the case anyway. When he is accused of being the one to have committed the crime, and two subsequent murders, he has only a brief window of time to clear his name. Once again Malla Nunn has delivered a brilliant depiction of a time and place. In the urban setting the harshness of the political situation is even more starkly displayed than was the case with the first book which took place in the remote Jacob’s Rest. With so many routine day-to-day activities now controlled by the myriad of new laws virtually everyone is in danger of doing something illegal at some point and the distrust, paranoia and necessary self-interest this engenders is portrayed here to perfection. There is also a hefty dose of desperation displayed by many characters caught in horrendous circumstances such as having married before the laws came into effect and now learning the marriage is outlawed because the couple are newly classified as different races. What struck me too here was that on top of all the kinds of hell the regime settled upon the civilian population it made the ever-present ‘us and them’ mentality between police and the wider community that much worse because, essentially, everyone a policeman comes across is a criminal of one sort or another. Even an honourable cop struggles to deal with that. As far as story goes I found the middle section a bit woolly with a couple of complications too many. Apart from Cooper, who simply can’t let the dead lie, no one seemed to care much about the murder victims because they were too busy worrying about themselves (not without good reason I admit) or, in the case of the cops, were focussed on ‘getting’ Cooper. For a while the story lost its way a little though it ended strongly with a nail-biting but believable climax. Emmanuel Copper is certainly not the first flawed protagonist in crime fiction but I find him unique in terms of the experiences he’s endured and I’m left wanting to read more about him. And while this is too confronting a setting to be considered a comfort read it is superbly drawn and, alas, all too believable. I heartily recommend this book though would suggest reading A Beautiful Place to Die first to get a full sense of all that Cooper has had and lost before becoming who he is in this novel. 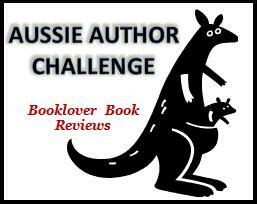 This entry was posted in Aussie Authors Challenge 2010, book review, Malla Nunn (Aus), South Africa. Bookmark the permalink. Bernadette – Thanks for this terrific review. I was fortunate enough to visit South Africa, and had the chance to talk to some people about apartheid. I’m really eager to see how Nunn portrays it, and the story sounds compelling. Once again, you’ve added to my TBR list : ). I hope soon to be reading A Beautiful Place To Die, which coincidentally a friend at work sent me at about the same time as your review. From what you write, I shall enjoy it very much and then no doubt come back to this review and this book, pretty soon afterwards. The best read this year, I just loved it. I liked this book very much; it offers a lot, especially a view of life under apartheid, done in a sensitive way. I can’t wait to read Nunn’s first book, which I will in 2011.